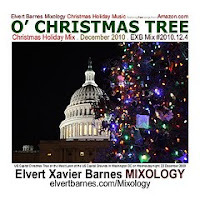 Featuring the photography and artwork of Elvert Barnes click the cd cover (at left) to listen to and/or download my December 2010 "O' Christmas Tree" mix of Christmas music. 4. The Christmas Rap - Steve Wash Jr.
7. Christmas Anthem - Landon Smith & The Real Matt J.